My friends, this election is going to be great! Believe me awesome, the greatest we’ve ever seen! We will see the highest turnout in the modern day era. Believe me, it’s going to be great seeing so many people, of all walks of life, rural and urban come vote! 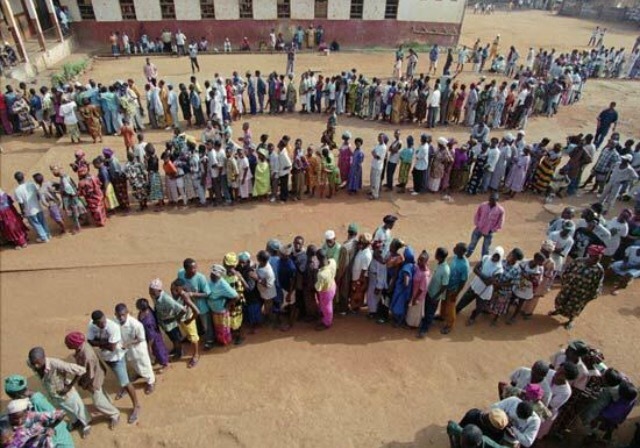 It reminds me of the images of South Africans once disenfranchised, standing in line for hours to vote for Nelson Mandela in 1994. We and the world may we see that this year in America. A lot of people who usually stay home, will come out to vote! That doesn’t mean we will all agree on who to vote for. Our nation is split right down the middle. Nevertheless, we all need to vote! No one can stand on the sidelines for this one. No one should. Why, because this election is going to be great and all votes will matter. I promise you, they will really matter. Remember the 2000 voter debacle in Florida? If you think there were issues then, wait til you get a load out of November 2016. There will be voter issues, so know your rights! On one side we have Donald Trump who has energized his base. A reality television celebrity, he’s got a solid base. On the other, we have Hillary Clinton. A woman in the public eye over forty years running an historic campaign as the first woman of a major political party to win her Party’s nomination. Trump has fired a wall of division into the air. That’s made some friends on the Republican side nervous and they haven’t embraced him. They also find it hard to back Clinton. Then there are my friends who despite his wall of division are embracing Trump. These are not just White, uneducated voters as some on the other side seem to think. These friends are of all races and very educated. And they’ve taught me a lot. One is to accept their choice. Know what, they’re right! I’m okay with it. I love them even if I disagree with them. That’s what makes America great! We can agree to disagree. That’s why, my friends who don’t like politics, I’m not asking you to change and like politics. I am asking you to be engaged. If you don’t stay engaged, if you don’t vote, a narcissistic, pompous bigot is going to occupy the White House and destroy years of progress. After years of gridlock in politics, maybe that’s what America deserves! I don’t believe that, but if people don’t vote, that is what we are going to get. Believe me, I promise you, it’s going to get nastier when the debates begin. My fear is Hillary will not do well in those debates. Not against Trump. This man believes any lie he makes up. How do you combat that? One person can’t, but many can. This election is about American values. How do we ensure everyone has equal access to education, healthcare and jobs. I’ve been on this soapbox for years. When we don’t vote, we get politicians who take us into an economic recession, fiscal cliff and government shutdowns! Heard the saying, We get the politicians we deserve. That’s why Congress is mired in gridlock and state legislatures battle over ObamaCare and education funding. We get what we deserve when we don’t vote. We get them when the Kardashians, Honey Boo Boo and sports programming takes our attention away from the real reality television show – politics, where politicians decision impact each and every one of us. Do we deserve Trump? If we don’t vote and stay informed, unfortunately, yes we do. We’ve seen what happens when we can’t vote. Isn’t that what we saw in slavery when Blacks and women were not allowed to vote? And through segregation, when Blacks died for the right to vote? I know, its not easy, but I promise you, believe me, the alternative, not staying engaged and voting is a lot worse. If we all vote, those for and against Trump, it will be great for America. A Clash of Titans! Who will win? I don’t know. I believe, the diversity of our nation, the merging of our cultures, the fabric of our values are intact. For that, I have hope that Hillary Clinton will win. As a descendant of slaves and slave masters, I am inextricably linked to the origins of our nation once mired in slavery. That origin evolved into segregation and from there other issues emerged like immigration, women’s right to choose, sexual orientation and identity. More of us are on the side that recognizes #BlackLivesMatter. And we know that #BlueLivesMatter because by extension we all believe #AllLivesMatter. But right now, we need a leader that understands why this is important today. 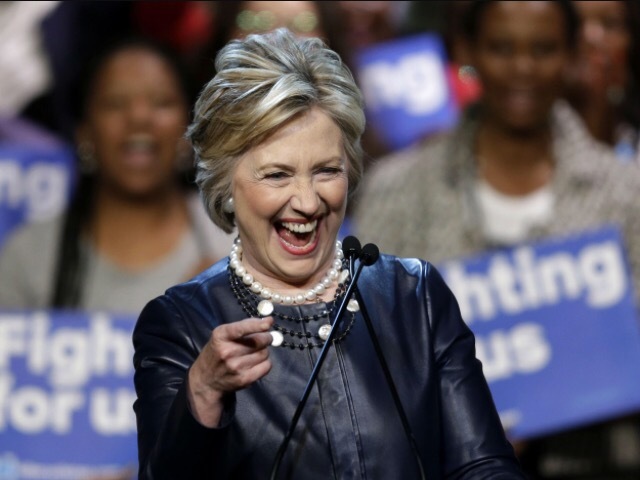 I’m with her because, for whatever mistakes she made or decisions she made in the past, she’s consistently chosen to be on the side of the majority in good and bad times. There are more of us together on these issues than ever before. And we need a leader who has the courage to address and change when the times call for it, because she listens to the people. For that, I believe if we stick together on both sides, what will emerge is a referendum on our past, and a signal to all of us that CHANGE happened in 2008. And when it’s all said and done, she’s the best leader for all. Despite the gridlock in Congress and our state legislatures, as a nation we are moving FORWARD in the right direction. That’s why it’s up to all of us to VOTE! And it’s why I’m with Her! Whether you are with her or not, will you please, Vote? Next postTrump Isn’t a Phenomenon, He’s A…. Because of the current journey our country is on, I believe this upcoming election has activated an abundance of “once were” inactive voters! One way or another! Thank you! I dont usually share who I am voting for, but this year is different. It is a Clash of Titans and it is not all bad. I love Trump for exposing our rifts. We have a right to take sides. It is based on our personal journeys. What make America great, is we can Vote. If we don’t vote, we cannot complain.